This is the perfect Game Studio starter kit for launching your online dream business. This kit contains 3 tutorials book to help you create 6 different online games. You could have all 6 games ready in a day for each game. Start your Game Studio today. 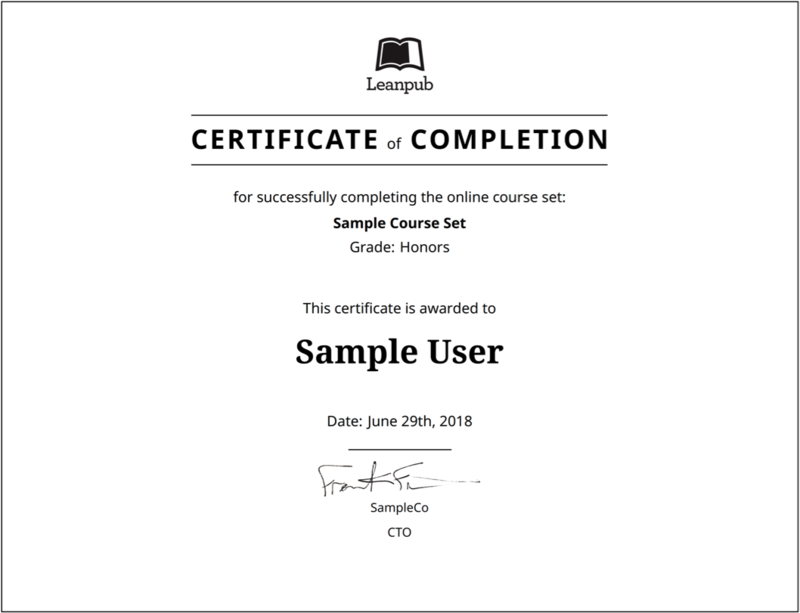 At the end of the course set, you will receive a Verified Certificate from Leanpub certifying that you have gone through the entire set. The certificate of achievement you earn allows to provide proof that you have successfully completed an online course. Discover how to create 3 online Dating and Trivia Quiz games using the production methods in this course. This is a "Mega" constuction course; you learn 3 different online games using Dating & Quiz game mechanics. When you're finished, you will have a production pipeline to create as many different Dating or Quiz games as your imagination can dream of! You'll also get bonus download examples, source code, abridged references on how to do every single thing in this course, so you can copy and paste these into your own game design and then modify those resources for your own purposes. How to integrate "Dating Simulations" and Quiz gaming mechanics into other game genres such as RPG! Analyze current business demand for these game's genres and where to deploy them. Instructor Guides and teaching resources available for workshops in this course's special Teacher edition. Discover how to create online Fashion and Dress-up games using the methods in this course. When you finish this course, you will have a production pipeline to create as many different Dress-up games as your imagination can dream of! I would like to guide you in creating several styles of Dress-UP game mechanics. We will use the game mechanics, mechanisms and the development methods discussed in Phaser Game Prototypes . By the end of this tutorial, you should have a fully functional Dress-UP game using your own gaming assets. There is a supporting website where you can download the bonus content included with your course purchase. How to integrate "Dress-Up" game mechanics into other game genres such as RPG and FPS! Analyze current business demand for this game's genre and where to deploy it. Printing, saving and create fashion galleries. Discover how to create 2 different online Puzzle games -Sliders & Jigsaw - using the production methods in this course. This is a "Mega" construction course; you learn 2 different online games using Puzzle game mechanics. When you're finished, you will have a production pipeline to create as many different styles of Puzzle games as your imagination can dream of! I would like to guide you in creating 2 styles of Puzzle game mechanics. We will use these game mechanics, mechanisms and the development methods discussed in Phaser Game Prototypes . By the end of this tutorial, you should have a fully functional Dress-UP game and two different Quiz game styles using your own gaming assets. There is a supporting website where you can download the bonus content included with your course purchase. Create 2 styles of Puzzle games. How to integrate Puzzle's gaming mechanics into other game genres such as Adventure games! Dynamically generate new Puzzles from any uploaded picture. Avatar is an adorable cartoon sketch of my wife. 40th anniversary this Sept 1! Steve is a certified Network Engineer (retired after 40 years) and currently as a full-time teaching faculty in software engineering at the University of Advancing Technology (Tempe, AZ). For the past 10 yrs, He has been a Cisco Certified Academy Instructor (CCAI).